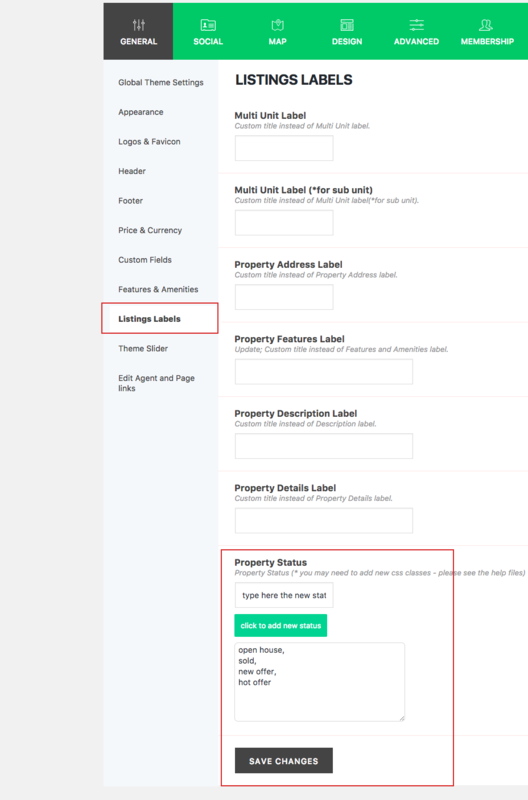 Home / Theme Options / Listing Labels. Property Status. 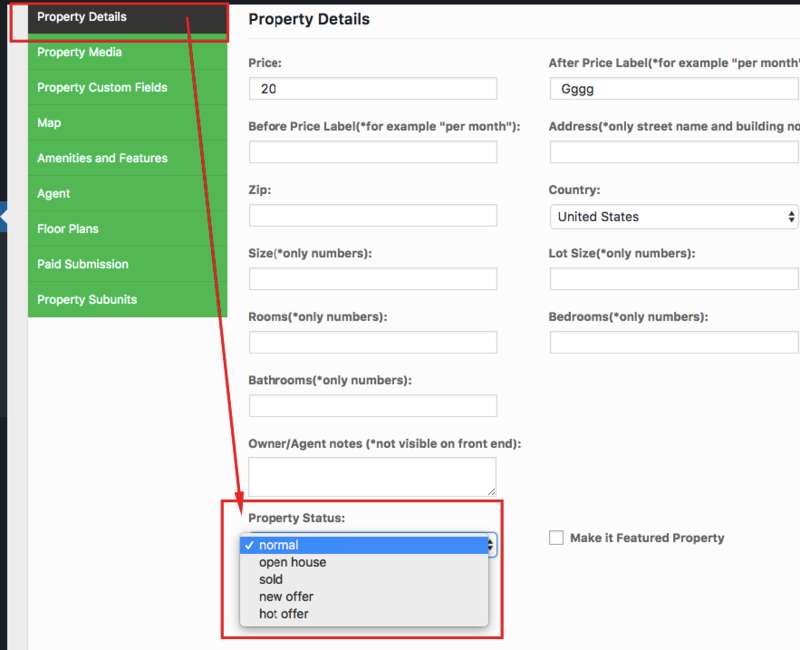 New Property status labels can be added in Theme Options – General – Listing Labels.